Gudrun talks with Asher Zarth. He finished his Master thesis in the Lattice Boltzmann Research group at the Karlsruhe Institute for Technology (KIT) in April 2018. Lattice Boltzmann methods (LBM) are an established method of computational fluid dynamics. Also, the solution of temperature-dependent problems - modeled by the Boussinesq approximation - with LBM has been done for some time. Moreover, LBM have been used to solve optimization problems, including parameter identification, shape optimization and topology optimization. Usual optimization approaches for partial differential equations are strongly based on using the corresponding adjoint problem. Especially since this method provides the sensitivities of quantities in the optimization process as well. This is very helpful. But it is also very hard to find the adjoint problem for each new problem. This needs a lot of experience and deep mathematical understanding. For that, Asher uses automatic differentiation (AD) instead, which is very flexible and user friendly. His algorithm combines an extension of LBM to porous media models as part of the shape optimization framework. The main idea of that framework is to use the permeability as a geometric design parameter instead of a rigid object which changes its shape in the iterative process. The optimization itself is carried out with line search methods, whereby the sensitivities are calculated by AD instead of using the adjoint problem. The method benefits from a straighforward and extensible implementation as the use of AD provides a way to obtain accurate derivatives with little knowledge of the mathematical formulation of the problem. Furthermore, the simplicity of the AD system allows optimization to be easily integrated into existing simulations - for example in the software package OpenLB which Asher used in his thesis. One example to test the algorithm is the shape of an object under Stokes flow such that the drag becomes minimal. It is known that it looks like an american football ball. The new algorithm converges fast to that shape. F. Klemens e.a. : CFD- MRI: A Coupled Measurement and Simulation Approach for Accurate Fluid Flow Characterisation and Domain Identification. Computers & Fluids 166, 218-224, 2018. T. Dbouk: A review about the engineering design of optimal heat transfer systems using topology optimization. Applied Thermal Engineering 112, pp. 841-854, 2017. C. Geiger and C. Kanzow. Numerische Verfahren zur Lösung unrestringierter Optimierungsaufgaben. Springer-Verlag, 2013. M. J. Krause and V. Heuveline: Parallel fluid flow control and optimisation with lattice Boltzmann methods and automatic differentiation. Computers & Fluids 80, pp. 28-36, 2013. A. Kamikawa and M. Kawahara: Optimal control of thermal fluid flow using automatic differentiation. 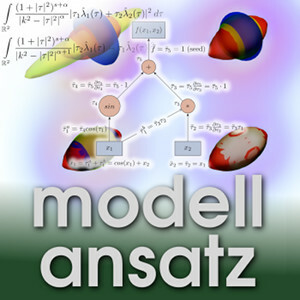 Computational Mechanics 43.6, pp. 839-846, 2009. A. Griewank and A. Walther. Evaluating derivatives: principles and techniques of algorithmic differentiation. Vol. 105. SIAM, 2008.